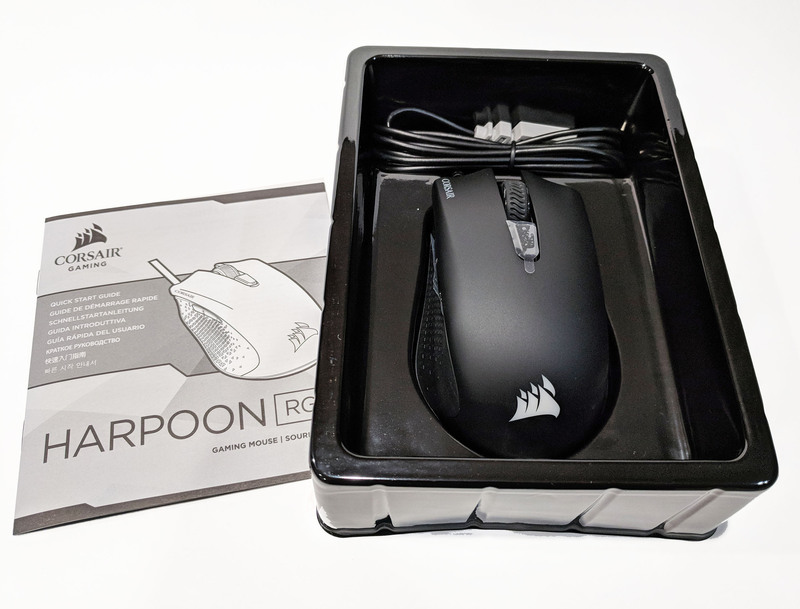 In this review we’ll be taking a look at the Corsair Harpoon gaming mouse. There’s plenty of options out there when it comes to gaming mice, and a lot of factors to consider when going in for the purchase. 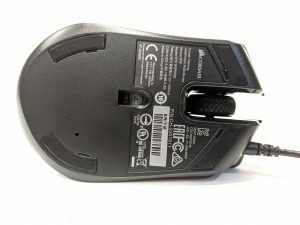 Especially considering the mouse is one of the primary ways we interface with our PCs. How we interface, whether it’s gaming, web surfing or work related, factors in to the type of product we’ll end up buying. 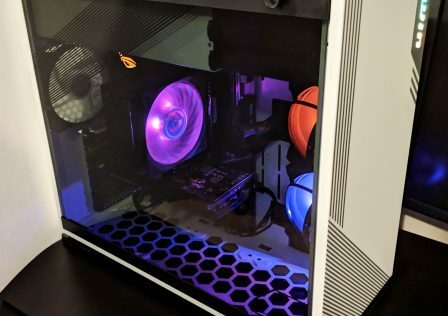 The Corsair Harpoon is on the budget side of the spectrum which makes it a good option for light gaming and general use. 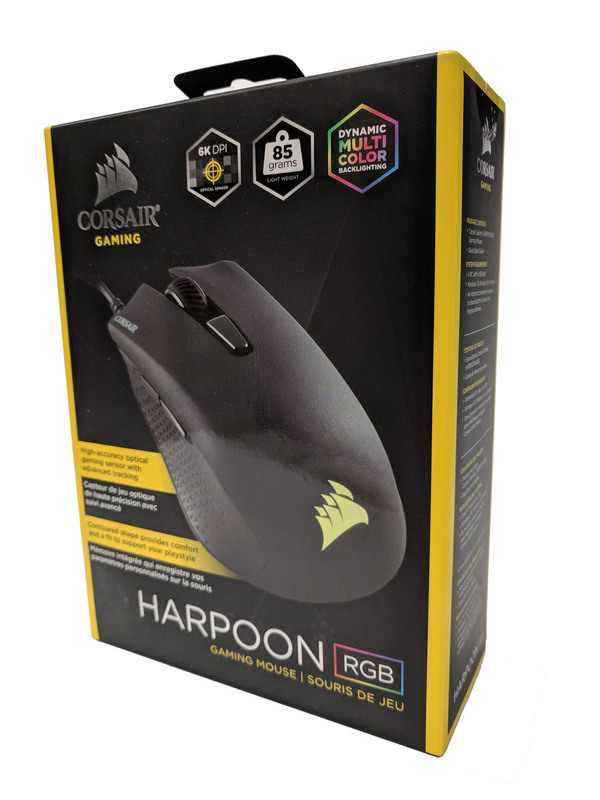 At a glance, the Corsair Harpoon features a lightweight design (85g), a 6000-dpi sensor and six programmable buttons. 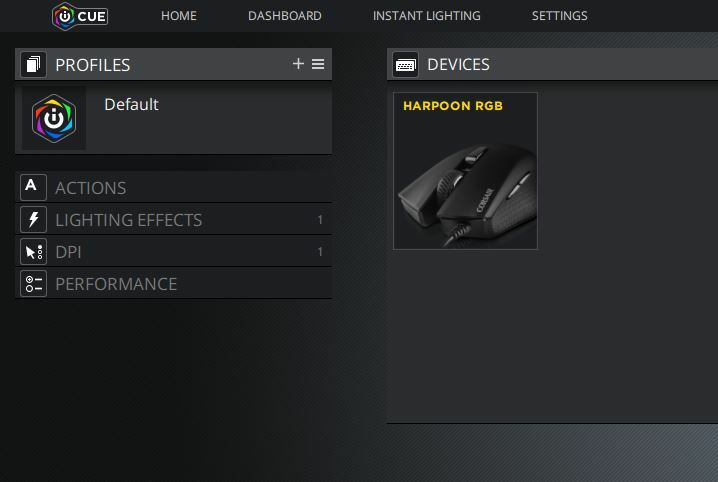 The Harpoon can be controlled and configured via Corsair’s universal software, iCUE which we’ll be going into more later. 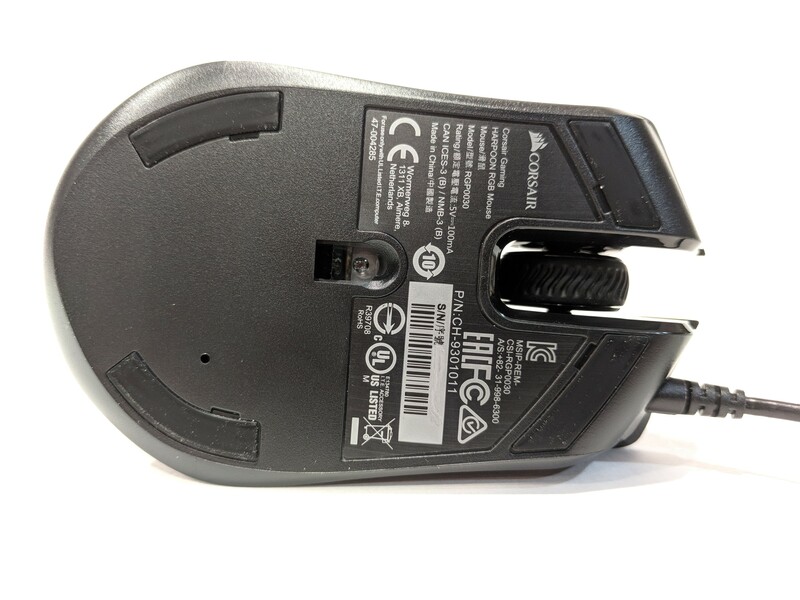 Before diving into the review, let’s take a look at the technical details related to the mouse. At the time of writing this review, you can pick up the Corsair Harpoon gaming mouse on Amazon for ~$30 USD. 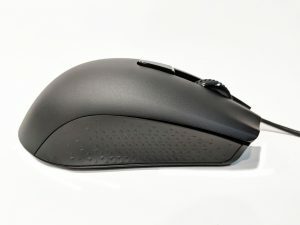 Since this is a budget gaming mouse, we need to be subjective with its features. 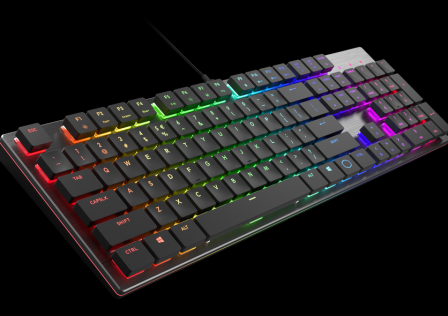 With a $30 price point, premium features such as rubber coatings, and braided chords will be out the window. Packaging for the Harpoon was pretty standard for a budget mouse. The outside of the box was well designed and provided the potential buyer lots of relevant information. This included DPI, weight, RGB options and button diagrams. 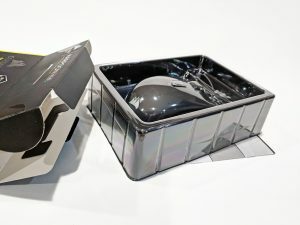 Upon opening the box, we find the mouse in a two-piece clam shell style protective casing with the chord neatly folded above it. The only other included items besides the mouse are warranty information and a small instruction manual. Overall, cheap and effective packaging. The mouse was in perfect, undamaged shape upon opening. The Corsair Harpoon features a simple ergonomic design. Overall, it’s pretty standard as far as mice go. 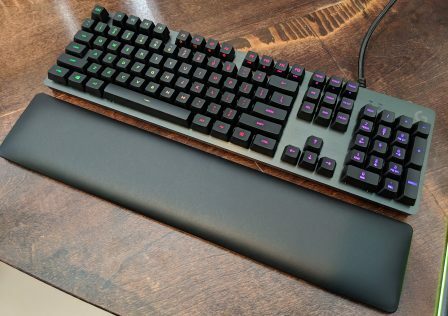 The finish is matte black all the way around, with some shiny black accents around some of the edges and buttons. The thumb rest and opposite side is textured to provide better overall grip. Once out of the box, we can see the overall button layout is pretty standard. Left and right click, a scroll wheel with center click and two thumb buttons usually configured for “forwards” and “backwards” (or typically mele in-game). 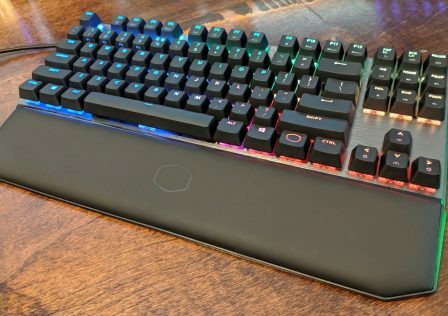 The palm area features the Corsair logo and es equipped with RGB lighting that can be changed by the profile switch button located just behind the scroll wheel. 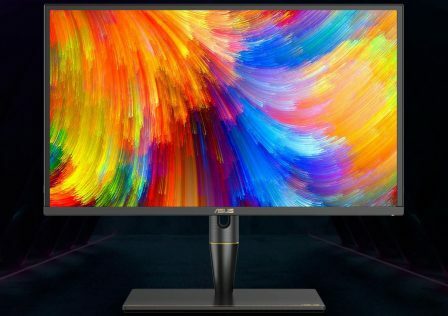 A couple interesting features is the floating scroll wheel. 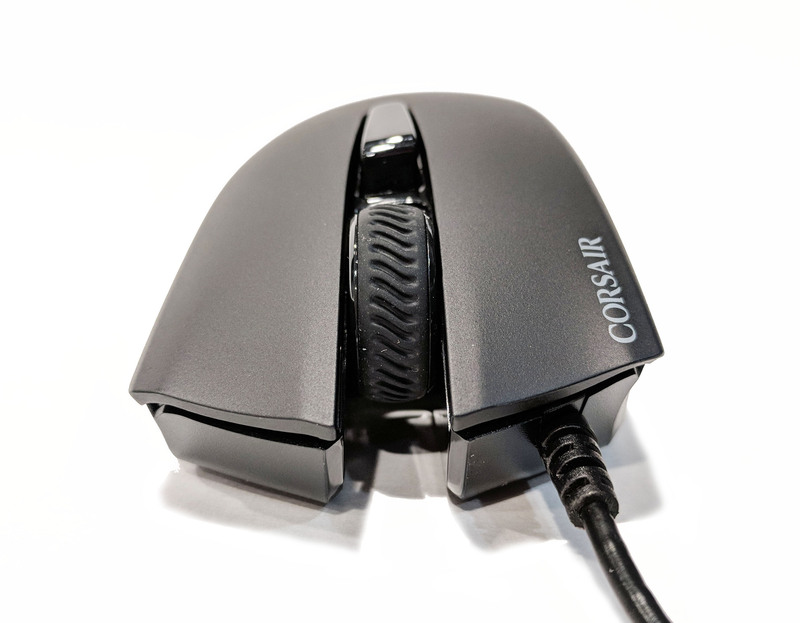 When looking at the mouse from the bottom you can see that it appears suspended in between the left and right mouse buttons. Because of this, the chord is set off to the left just under the left mouse button. Underneath the Harpoon we see the 6000-DPI sensor, and four gliding pads. The chord is nothing special. 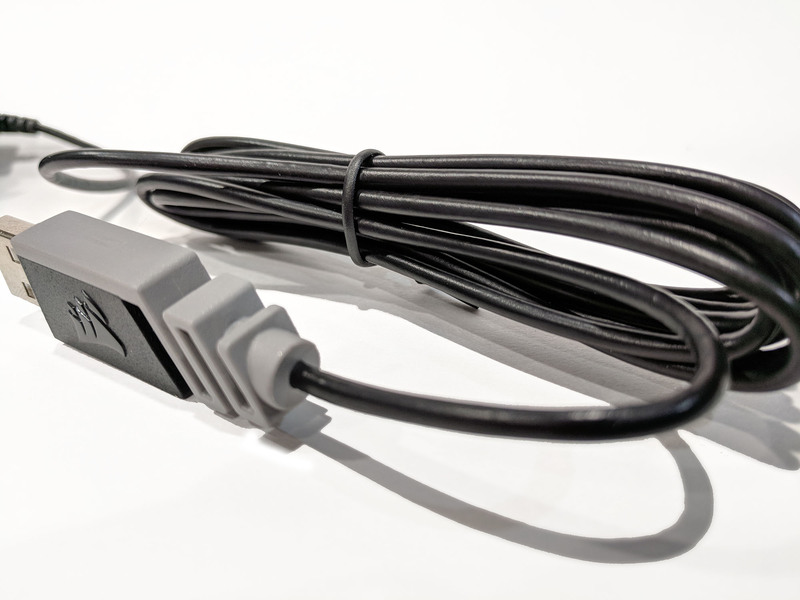 It is overall very loose and flexible which will make routing and portability easier. 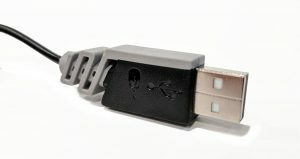 The black and grey USB connector at the end features the Corsair logo and is a unique design. Especially useful when locating the connector behind a PC filled with other USB devices. Different profiles can be created. After installation a “Default” profile is created. As more profiles are added, they can be easily selected by the Harpoon by clicking the center profile button located just in front of the scroll wheel. 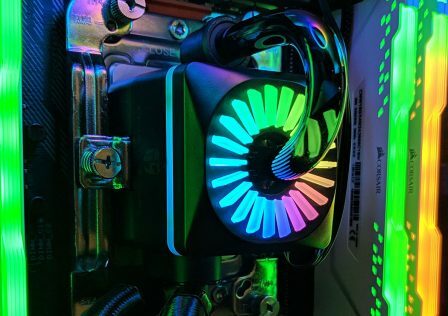 The Harpoon also has RGB color options. Users can assign a color or affect to each profile. 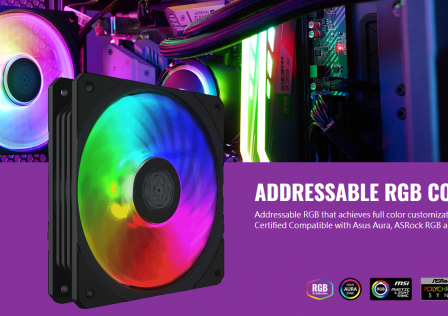 Some options include a solid static color, alternating colors of the rainbow or pulse options. 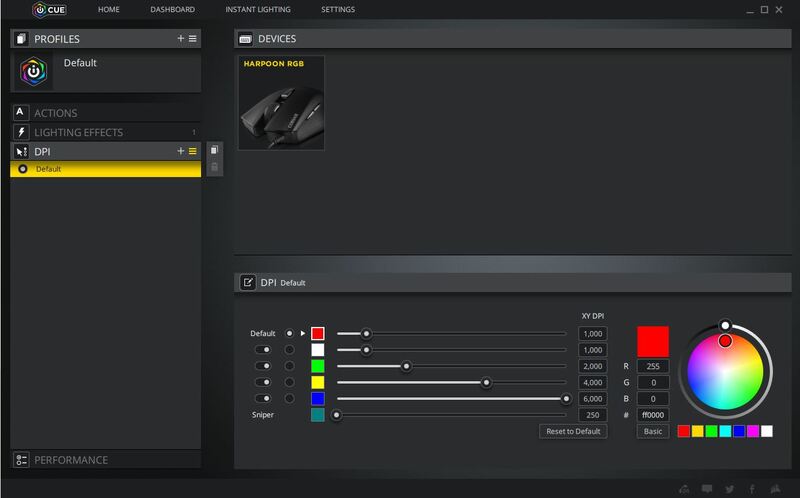 DPI configuration can also be assigned to each profile as well as an RGB color. Profiles can also be backed up and restored via the Profile Import/Export settings. Useful if you need to replace the mouse for whatever reason. 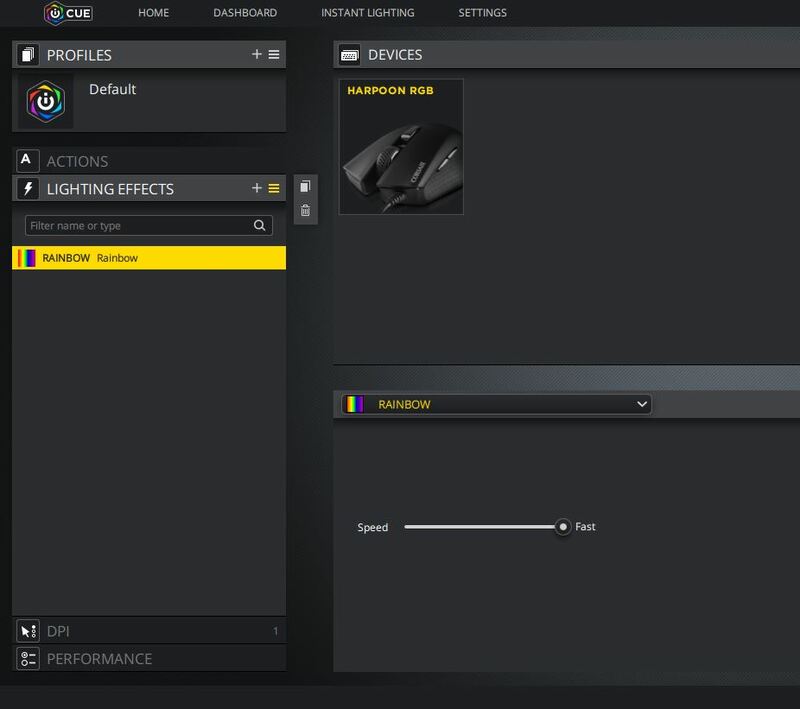 Lastly, be sure to head over to the settings section and ensure that you are running the latest firmware from Corsair! 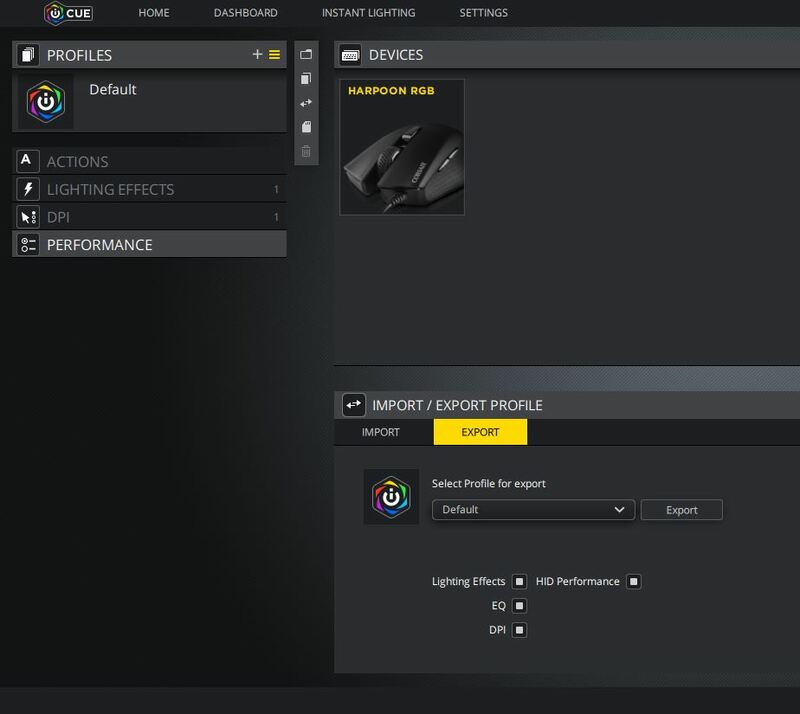 Polling rate and RGB light brightness can also be configured at this screen. 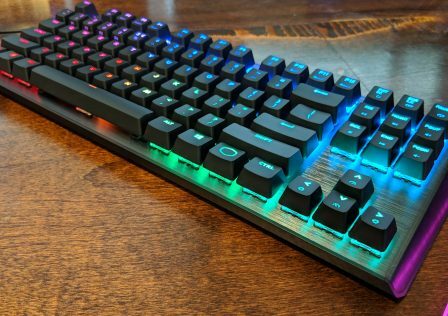 Comfort – Overall, the Corsair Harpoon is decent when it comes to comfort. 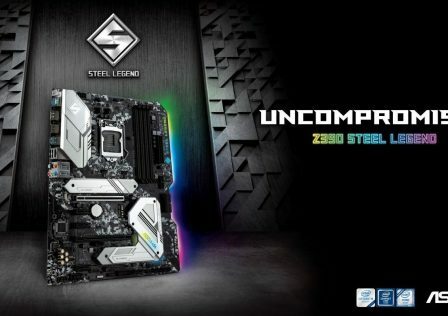 It’s not especially ergonomic, however it does not cause strain after long gaming sessions. Since the mouse is constructed from all plastic, if your hands get a bit sweaty, the mouse does tend to get a little too slick making it a bit harder to control. 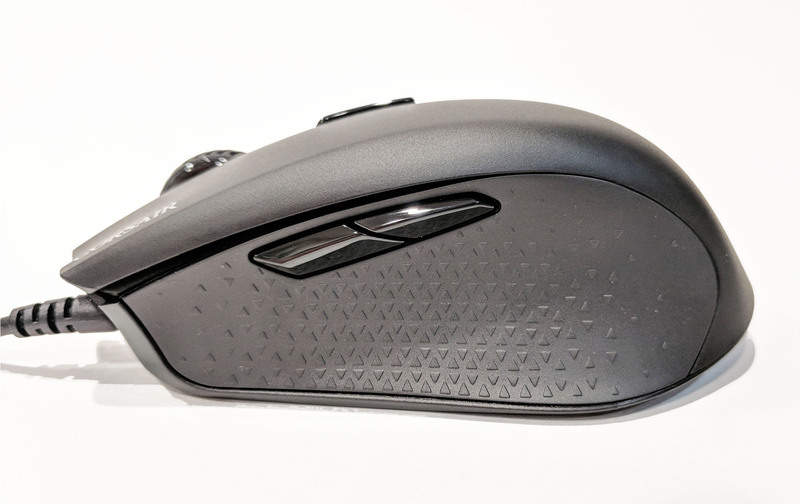 This mouse was clearly designed for right-handed operation. Switching over to the left hand, the Harpoon feels very awkward since its surface tilts down towards the right. 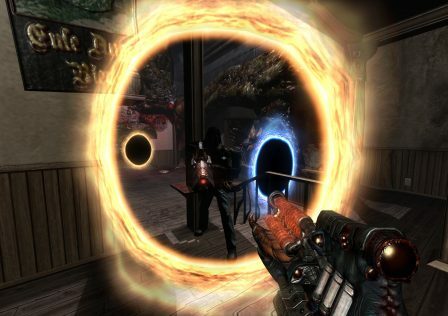 Performance – After a few hours of continual gaming, the Harpoon held its own. It’s important than when switching to a new mouse to adjust the DPI settings and sensitivity levels to that which you’re use to. Response time and accuracy of the mouse were spot on. When changing to different surface types such as a bare tabletop, countertop, a random book, and of course a mouse pad, the Harpoon held its own. 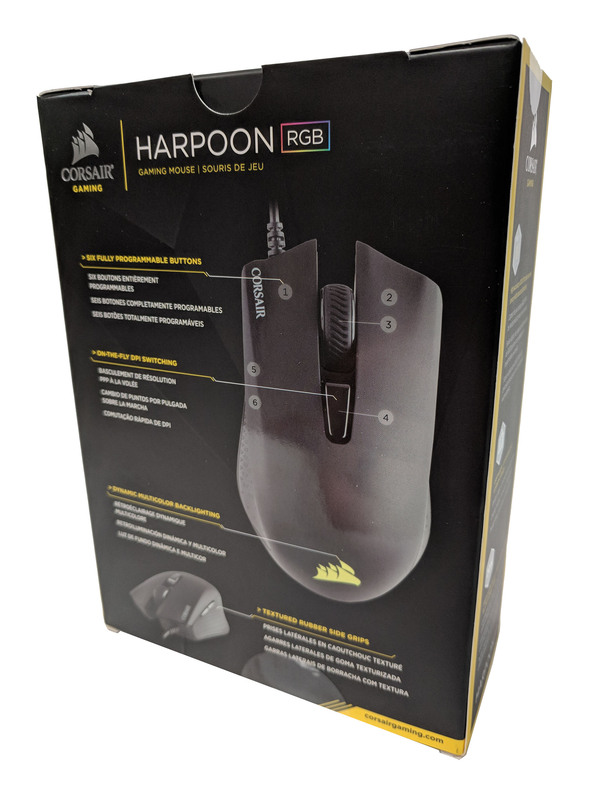 Usability– According to Corsair, the Harpoon is designed to be handled in the claw configuration (heald using finger and thumb tips). This is definitely the case. 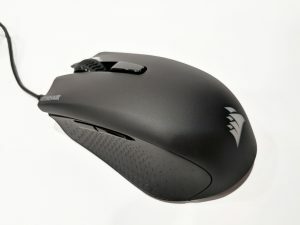 If you prefer palming your mouse, switching to the Harpoon will not be an easy adjustment. 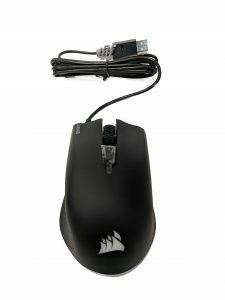 Since the mouse is small and very lightweight, when handled in claw configuration, the mouse is very responsive and easy to use. 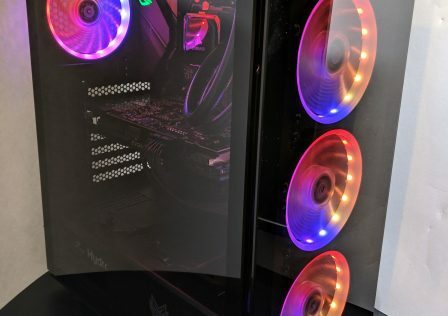 If you just got done building that gaming rig and spent all your money on a few GTX 1080’s and have nothing left over, The Corsair Harpoon might be your best bet. 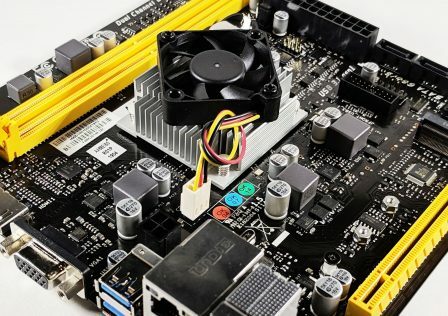 Priced at ~$30 USD, considering it’s features and how well it did in our tests, you’ve really got nothing to use. The iCUE software was intuitive and easy to use with the Harpoon, making the mouse feel more expensive than it really was. Construction: 17/25 – Nothing special here. The Corsair Harpoon felt solid, with no annoying seams or creaking flexing noises when pressed. However, it was constructed completely out of plastic. 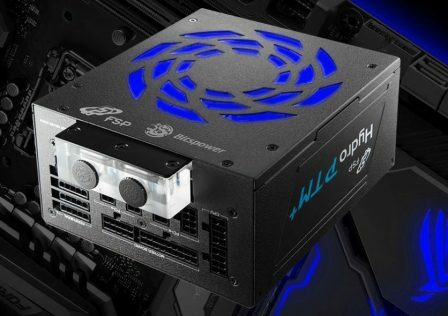 making it less comfortable during long gaming sessions. Performance: 24/25 – The mouse felt overall very precise and worked perfectly fine on multiple surface types. Appearance: 20/25 – Overall, the Corsair Harpoon looked decent. 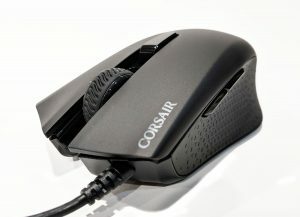 The RGB lighting on the palm looked nice and gave the mouse a splash of color, but didn’t stand out. With the mouse powered down, it looked like any other mouse. 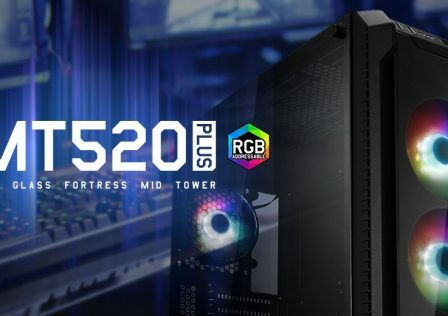 Value: 25/25 – For ~$30 USD, you are buying a mouse from a well known brand that is equipped with a 6000-DPI sensor, programmable buttons, RGB ligting, and backed by a 2-year warranty. The iCUE software support also adds to the value by allowing tons of customization options as well as profile support.